INDUSTRY NEWS FOLLOW US ON FACEBOOK AND TWITTER! Tried-and-true restaurant coverage with no surprises. Small detail. Big difference. Nobody understands the unique challenges of protecting your restaurant better than Society. Ever since we developed our policies with restaurant owners more than 40 years ago, we’ve stayed on top of industry trends to deliver the most comprehensive—and reliable—coverage available. To learn more about how we handle the small details that make a big difference, give us a call at 1-888-5-SOCIETY or visit societyinsurance.com. St. Charles, Illinois There aren’t adequate words to express our profound sadness in the passing of our longtime Office Manager, Paula Mueller. Paula regarded many of our advertisers as extended family, and was a popular friend to the foodservice and vending industries. We’ll miss you, Paula. 15% of U.S. Households Have a Direct-toConsumer Channel Subscription Consumers today have a variety of choices when determining how they want to access TV programing. As is the case in the broader retail landscape, growth in direct-to-consumer (DTC) channel subscriptions* is particularly notable. Driven by the influx of new services, faster inhome broadband speeds, and TV-connected device adoption, DTC channel adoption rates grew three-fold over the last three years to reach 15 percent of U.S. households, according to The NPD Group. The big flavor of this premium Italian-style Chicken Sausage Topping from Brakebush is making a great fi rst impression as patrons see it on pizzas, or in pastas, salads, soups and omelets. This all-natural, fully cooked topping delivers a traditional Italian sausage fl avor and texture with less fat than pork sausage. Yet the indulgent look and taste ensures a very satisfying eating experience. Heralded as “The chicken sausage topping sausagelovers love,” operators are fi nding it to be a terrifi c beef and pork alternative in many applications. Research shows 1/3 of patrons are looking to decrease their consumption of beef and pork ... making this another on-trend chicken solution from Brakebush. Coffee Study Helps Consumers Safely Indulge Researchers at the Coffee and Caffeine Genetics Consortium (presumably located right near a Starbucks somewhere) have identified six genetic variants that affect our taste for coffee and caffeine, as well as our response to it. Two of these variants may influence the positive effects of caffeine on people. The discovery may help physicians advise people on increasing or decreasing their caffeine consumption for better health. Foodservice Workers Turn to Acupuncture for Depression, Stress According to a study published in Obstetrics & Gynecology, acupuncture can help alleviate depression as well as stress, particularly for waitstaff on their feet for long shifts. Balancing long hours against personal needs can be devastating. Researchers administered depression-specific acupuncture on 150 women, 63 percent saw their symptoms improve. Acupuncture is highly-effective in managing stress. Meditation and techniques can be learned to dramatically alter and control the chemistry of coping. the brigade of USPT members were one of the largest competing in the international event. Additional members competing in this year’s championships were. ; Leonard Giordano, Mona Lisa Pizza, Staten Island, N.Y.; Michael LaMarca, Master Pizza, Cleveland, Ohio; Jason Samosky, Samosky’s Homestyle Pizzeria, Valley City, Ohio; Dave Sommers, Mad Mushroom, West Lafayette, Ind. ; Scott Volpe, Fiamme Pizza, Tucson, Ariz.; Ali Haider, 786°, Sun Valley, Calif.; Constantino and Peter Anezinos, Zorba’s Pizza, Millbrae, Calif.; David Conti, Red Planet Pizza & BBQ, Ansonia, Conn.; Lars Smith, State of Mind Public House & Pizza, Los Altos, Calif.; Leah Scurto, Pizza Leah, Healdsburg, Calif.; Michael Stevens, Palo Mesa Pizza, Arroyo Grande, Calif.; Michael Athanasopoulos, The Lamb & The Wolf, Rockville, Calif.; and RC Gallegos, RC’s NYC Pizza & Pasta, Kingwood, Texas. Panos Invites You For decades Christ Panos has been, supplying restaurants in the Chicago area. Panos has grown to provide a full assortment of products to satisfy any establishment. Check out the “Grab the Cash” Food Show invite on page 45 and come see what Panos can do to grow your sales. www.ShermanDodge.com may arrive to close the deal. 2. Have a clear understanding of why customers should do business with you. Take it seriously because a lot’s at stake. What separates you from the competition that makes a difference to your customers? What is your value statement; what your brand stands for? What do you bring to the customer’s buying experience that creates credibility and confidence? Unless your brand makes sense to customers, there’s no sale. 3. Make a commitment to execute perfectly. “We’ve got to get this out tomorrow.” “They need it now.” “I know, but it’s a rush.” Such words do more damage to sales than anything else. Of course, there are exceptions. But, far too often, the exceptions take over and become the rule. “Just get it done” is a mindset, an attitude that permeates too many companies—it’s the new normal. The #1 enemy in all this is cutting corners. It sabotages the best practices and the best intentions. When everything is a rush, cutting corners is inevitable. There is never enough time to execute perfectly. We settle for “good enough” and it isn’t. www.atlasemployment.com McDonald’s Won’t Fight Federal Minimum Wage Proposal 847-671-1557 McDonald’s Corp. announced that it would not invest resources in opposing minimum wage increases at the federal, state, or local levels, according to a letter the Chicagobased chain sent to the National Restaurant Association. The announcement comes after Democrats introduced the Raise the Wage Act earlier this year, which proposes to increase the federal minimum wage from $7.25 an hour to $15 an hour by 2024. Similar to labor laws recently approved in other states like California, the bill calls for a gradual increase in wages each year. McDonald’s average starting wage in corporate-owned stores is over $10 per hour. Call for a free consultation with one of our experts. Visit us on the web to see our latest work. Italian style fully cooked. Made with Ricotta and Pecorino Romano cheeses. Available sizes: 3oz, 2oz, 1.5oz, 1oz, .5oz, & wedding soup. Folkart Continued from page 1 Inspired by the leadership and enriching experiences of these kitchens, Merges opened Metropolitanin Salt Lake City as chef and co-owner. Metropolitan received several accolades, including “Best Restaurant InterMountain West” and a nomination at the James Beard Awards. Merges was lured back to Charlie Trotter’s from Metropolitan and spent the next 14 years directing all culinary, service, and strategic operations. A longtime contributor to Chicago’s culinary and hospitality community, Merges is deeply passionate about giving back and leveraging the industry’s resources for philanthropy. He is the co-founder of Pilot Light, a locally-based and nationally-recognized charity that connects chefs and teachers, using food to support effective classroom teaching and learning. A Chicago Gourmet chef and frequent media contributor, Merges and his restaurants have been featured in The Wall Street Journal, Food & Wine, Conde Nast Traveler, Robb Report, NBC, Fox, WGN, Chicago Tribune, Chicago Magazine, and more. Merges is the proud husband of fcSTUDIO designer Rachel Crowl and father to Kaitie, Gretl and Tatum. In his free time, he’s an amateur photographer and climber. Major seafood companies and retailers such as ALDI, Ahold Delhaize and Lidl have agreed to cooperate with industry groups to improve the traceability of seafood. The goal is to make traceability a practice that is adhered to throughout the seafood industry. ALDI 28 W. Ogden DOWNERS GROVE, IL 855-955-2534. This is a brand new store. They have big displays of product showcased throughout the aisles and they offer low prices. I found a line of snack MOTHERS DAY, MAY 12 items which I never have seen before from Clancy’s, so of course I had to pick up some chips. They carry all sorts of different products including; furniture, fitness accessories, a big selection of household items and more. They have a decent size liquor section and a big variety of frozen foods. Their cashiers have chairs at their checkout station where they can sit down. Check them out. ANIA’S POLISH DELI 780 S. Rand Rd. LAKE ZURICH, IL 847-719-2370. This is a deli and grocery store specializing in Polish and European specialties. They also sell a lot of the regular grocery staples too. When you walk in, the smell of sausages fills the air. Their deli case is filled with all sorts of sausages and other Polish meats and cheeses. In their freezer section they offer all kinds of soups, there’s s ome fresh produce and they have some liquor. I found some cookies and chocolates there which were absolutely delicious. They also had a large selection of teas from Poland in all different flavors. BLAZE PIZZA 5712 W. Touhy NILES, IL 847-264-9262. This is a great concept; it’s quick, fresh and delicious. They have salads and pizza. It’s like being at a salad bar and assembling the ingredients for your own special pizza. I usually order the Build Your Own Pizza with pesto sauce and load it up with fresh veggies and sometimes I even add arugula to it. They have all different sauces, cheeses and meats to choose from. They cook it up right away so it’s served nice and hot. CRACKER BARREL 7015 122nd Ave. KENOSHA, WI 262-857-2995. This is always my go to place when I’m making a pit stop on the highway. You can get a great meal plus they have a store where you can browse around for some merchandise, clothes, candy and unique items. Last time I stopped in I tried their fried chicken which was really good with choice of sides. I ordered some corn, Cole slaw and they ask you if you want a biscuit or corn bread to go with your meal. I got the biscuit and they gave me some honey for that which I also put on the chicken. Yum! DEL RHEA’S CHICKEN BASKET 645 Joliet Rd. WILLOWBROOK, IL 630-3250780. This is a wonderful place that has been around since 1946, when it was known as The Chicken Basket. They have a lot of different chicken, burger and seafood options. But I just had to try the meal they are known for—their Famous Fried Chicken Dinner. It’s half a fried chicken served with mashed potatoes, green beans, homemade biscuits and their soup & salad bar. The biscuits come warm, and the chicken comes temperature hot! There was so much food, I had to take a box with the rest home with me. For dessert, I had Miss Deb’s Homemade Sour Cream Cheese Cake. It was silky, and velvety with an amazing graham cracker crust. GIGIO’S PIZZERIA 1001 Davis St. EVANSTON, IL 847-328-0900. I am a big fan of this place. There’s plenty of seating and the staff is very friendly. You can get slices of thin pizza which they heat up in the over for you when you order served hot or you can order a whole pizza. Their crust is nice and crispy. I usually get a slice of sausage or the vegetarian pizza with green peppers, mushrooms & onions. They also have a big menu with hot dogs, burgers, gyros, tacos, wings, and an impossible burger. Their meatball sandwich with hot giardinera is really good and so are their fries. There’s a possibility you can overeat here. GREEK ISLANDS 200 S. Halsted St. CHICAGO, IL 312-785-9855. Hands down one of the finest Greek restaurants around. Everything I have eaten there has been outstanding. I started with an order of the Taramasolata, a pink colored fish roe caviar spread great for spreading on bread as an appetizer and a spinach cheese pie. They also have the best salads; I like the Village Salad with tomato, onion, cucumbers, olives and pepper topped with chicken breast. Plus, I always get an order of their Greek potatoes roasted in olive oil. They have an extensive wine list and fresh seafood. House specialties include homemade gyros, braised lamb, mousaka, lamb dishes and so much more. A Marriage Made In Heaven! Chicagoland’s Insurance Experts Since 1906 Contact us for the most competitive rates and learn why Chicagoland loves Jos. Cacciatore & Co.
Joseph Cacciatore & Company has handled our insurance needs beautifully for four years. Gloria saved us money when we joined her firm and has helped hold the line on costs since. We’ve even added coverage. This is a beautiful relationship. Illinois’s largest scale showroom featuring Adam Equipment, Cambridge and many others! 3 TIPS FOR SUCCESS Listen. It’s important to really understand the experience of whoever you’re trying to create with... And for. Don’t stop. Even when other people don’t particularly believe in it. It’s yours, not theirs. Try something rather than just talking about an idea. You’ll know immediately if you’re onto a winner or if you should cut your losses. Fresh off the news of its smokin’ hot kickoff in Mariano’s stores, Pork & Mindy’s is slated to open at 7528 W. North Ave., Elmwood Park, on the village’s so-called Restaurant Row this summer, and at 4359 W. Irving Park Rd., in Chicago’s Old Irving Park neighborhood later this year. Menu highlights include Sangwiches stacked with smoked meats, tater-tot Tottys loaded with toppings, choose-your-own Meat Flights, veggie-laden Pit Bowls, salads, ‘Nado milkshakes and the restaurant’s famous sweet-and-savory Pig Candy. The Elmwood Park location also will feature a rooftop patio and regularly scheduled live music. Slow-smoked, hand-pulled meats, the star of the menu, are humanly raised, free of antibiotics and hormones and sourced largely from Midwestern farms. Housemade giardiniera, sauces and pickles are among the freshly made touches that take Pork & Mindy’s beyond typical barbecue. Mauro and Kevin Corsello, his business partner and longtime friend, opened the first Pork & Mindy’s in 2016 in Chicago’s Bucktown neighborhood. Mauro, who was born in Elmwood Park, shot to stardom as the Season 7 winner of the Food Network’s “Food Network Star.” He hosts “Sandwich King” and co-hosts “The Kitchen” on the Food Network. The new storefronts in Elmwood Park and Old Irving Park will bring to six the number of Pork & Mindy’s restaurants in the Chicago area, with 28 to open inside Mariano’s grocery stores. There are also two Pork & Mindy’s outposts in Minneapolis and Denver. Fajita Factory, a new establishment by Another Round Hospitality Group, has opened its doors for a sizzlin’ good time on North Halsted Street. The vibrant, counter service restaurant features chips & dips, classic and specialty fajitas, savory and sweet empanadas, and large-format cocktails in Chicago’s Lakeview neighborhood. pavilions. Mole Festival de May will be held May 24-26, 2019 at Ashland and 18th St. in Chicago’s historic Pilsen neighborhood featuring mole, pitting local chefs and restaurants against one another to find out whose version of the staple is the best. Entertainment, festival and food vendors. Polish Constitution Day Parade celebrates ratification of the Polish constitution in 1791, will take place May 4, 2019 on South Columbus Drive in Chicago. St. Charles fine Art show – downtown St. Charles at Riverside Ave & Main St. May 25-26. Travelle at the Langham, Chicago at 330 N. Wabash presents two Calligraphy Workshops May 18 and June 1, 2019 taught by two local instructors; Rick DiCola and Julie Wildmar. During the class participants learn the art of handwriting while enjoying a Chicago brunch at Travelle featuring Chef Jean Vucko’s seasonal American cuisine. The Memorial Day Parade will held May 25, 2019 beginning south on State St. from Lake St. to Van Buren. Westmont Lion’s Club, Memorial Day Weekend, Red, White, & Blue & Bar-BQ will be held May 24-27, 2019.
versity through food will be held May 1819, 2019. The Kroger Co, America’s largest grocery retailer and Ocado, one of the world’s largest dedicated online grocery retailers announced Groveland, Lake County, Florida, as the second location for one of their customer Fulfillment Centers. The Wisconsin based Culver’s known for its Butter Burger and Fresh Frozen Custard recently celebrated its 700th opening. The chain opened 46 new restaurants in 2018, and there are plans for 50 more in 2019. World’s Largest Brat Fest will take place in Madison, WI May 2426, 2019, a celebration of food, fun and music. Whole Kids Foundation invests $1.2 M for 600 new edible gardens for schools & non-profits serving 450,000 students. School gardens shown to help kids make healthier food choices, learn where their food comes from & become veggie curious. Ask For A Manager to Get Special Wholesale Discounts. California consumers to easily exercise that right of opting-out. Personal Information Removal: Consumers may request that a business delete their Personal Information, and businesses must inform consumers that they have this right. Businesses must comply with these requests and ensure the consumer’s Personal Information is also deleted by third-party contractors with whom the business may have previously shared that consumer’s Personal Information. There are some exceptions to this requirement, such as if the Personal Information is needed to complete a transaction. Right in the heart of the city’s historic food trade centre and popular foodie destination, Time Out Market Chicago will be an incredible showcase of the city’s outstanding restaurant scene. A new hotspot for food and culture lovers is coming to Chicago: Time Out Market is set to open in 2019 at 916 W Fulton Market. Time Out Market Chicago will bring the best of the city together under one roof: its best restaurants, bars and cultural experiences, based on Time Out’s editorial curation. It will be a truly authentic Chicago experience. Time Out Market Chicago will put down roots in the heart of the Fulton Market District. Set within a stand-alone brick building, it will showcase across nearly 50,000 sq ft a curated mix of 16 food offerings and three bars, a demonstration kitchen and a retail area. The offer is spread across three floors, featuring the market space indoors and outdoors, an event venue, a viewing and entertainment platform with bleacher seating and the first Time Out Market rooftop. There will be almost 600 seats for hungry visitors. The Market will be one of several that Time Out will launch globally. The hugely popular Time Out Market Lisbon opened in 2014, and in 2019, new Time Out Markets are set to open in Miami, New York, Boston, Chicago and Montréal, with Time Out Market Prague expected to open at the end of 2021. DESIGNING ORIGINAL BREADS WITH LEGENDARY QUALITY With a state-of-the-art Design Center and artistic sandwich experts, Gonnella Baking Company can custom design a tantalizing bun exclusively for your sandwich build…one that satisfies your customers’ taste buds to perfection. Buy New For The Price of Used! We offer equipment for Dry, Liquid, Frozen, Fresh and Refrigerated Food products. We service what we sell! Are Cell Phones Ruining Your Memory? People are always using their cell phones and other mobile devices— but the radiation from these devices could be affecting our memory and a child’s ability to study at school, a major new study has suggested. Memory problems are being seen in adolescents after they’ve been using a cell phone for just a year, say researchers from the Swiss Tropical and Public Health Institute. Electromagnetic fields (EMFs) from the phones affect a nonverbal type of memory known as figural memory, which is located more on the right side of the brain. Right-handed people who frequently use their phones to make calls are the most likely to be affected, while those who just use the devices for texting and posting on social media suffer only a ‘marginal’ deterioration of memory. The conclusion confirms the findings of a larger research study in 2015, which involved around 1,400 adolescents, that also uncovered a connection between EMFs and memory problems. Although we’re exposed to much higher levels of EMFs in our environment these days—such as from mobile phone masts and wi-fi— it’s the radiation from cell phones that can have the most direct impact, especially on both older adults and developing brain, the researchers say. By: Kerry Lavelle Not all of our clients are lucky enough to be in the category of “anchor tenants” in a shopping center, but if you are, here are some suggestions for your lease renewal: 1) Long-term control. Make sure you have a series of three to five-year options to control your site for 15-25 years, with rent increases that are clearly defined. 2) Rentable square footage. Make sure there is a clear definition of square footage of your box on which you are paying rent. You should not be paying rent for exterior shopping cart corrals and dumpster bays. 3) Understand the Common Area Maintenance obligations (“CAM”). As an anchor tenant, you are probably responsible for your own roof. Do you want to volunteer to self-manage – particularly the snow removal? Make sure that no capital expenditures are included in CAM. 4) Protected parking area. Confirm that as part of the site plan, the shopping center owners cannot construct buildings, Christmas tree lots, and a temporary amusement facility in a protected parking area for your customers. 5) Protected ingress and egress. There are certain points of entry into the shopping center that have more value to you than others. Make sure those cannot be altered. 6) Prohibited and protected uses. The lease should be clear that the landlord cannot sign a lease with another direct competitor of yours in the same shopping center. You can even extend your protected use to shopping centers that the landlord owns within a two or three mile radius. Also, understand the prohibited uses of the shopping center. 7) Understand your sight lines. Make sure that the landlord cannot construct outlot buildings that would hide your facade and signage from the street. 8) Review the “Continuous Occupancy” clause carefully. Could you “go dark” and continue to pay rent? Sometimes, it is cheaper to pay the rent, and not operate the store if the store is failing. 9) Management fees charged by the landlord may be hidden throughout the lease. Dissect those fees and do not pay twice. As the anchor tenant, you probably should not be paying for certain items such as the management of the property taxes if you do not have your own separate tax identification number. 10) Assignment of the lease. Some day you may sell your location and may want to assign your lease. Review the assignment paragraph carefully and make sure you have, to the best of your ability, some control to assign the lease to an economically qualified assignee. For any further discussion, please reach out to Kerry Lavelle at klavelle@ lavellelaw.com to schedule an appointment. See our ad on page 22. Primera Technology, one of the world’s leading manufacturers of specialty printers, has recently introduced the LX2000 Color Label Printer. LX2000 is Primera’s fastest-ever desktop color printer. With waterproof labels, it is perfect for the packaging of beer, wine, food and other related industries. It produces labels at speeds of up to 6² per second - about 25% faster than Primera¹s best-selling LX900 Color Label Printer (for comparable print quality). LX2000 is priced at $3995 (MSRP) in the USA and Canada. It is available now from Primera¹s resellers and distributors worldwide. We give you a free estimate, take exact measurements and exactly match your fabric or vinyl and custom sew a booth seat or back replacement! Save over 90% over the cost of buying new seating depending on the vinyl. We work quickly, quietly and neatly around your schedule. With our service, you are never without seating! Over 98% of our customers become repeat customers. WE DELIVER QUALITY, VALUE & SERVICE! Curcumin, the wonder ingredient in turmeric that has anticancer and anti-infl mmatory a properties, could reverse the eye disease glaucoma. Curcumin eye drops can stabilize the problem and even reverse it in its early stages. Medicine is limited in its treatments for glaucoma, an eye problem that affects around 60 million people around the world every year, and 10 percent will eventually lose their sight. But using curcumin eyedrops twice a day stopped the loss of retinal cells within three weeks of starting treatment in lab tests. The researchers also think that the eyedrops could be used to diagnose other conditions. Curcumin has already been found to help prevent cognitive decline such as in Alzheimer’s, as well as some cancers, and it has antiinfl ammatory properties, which suggests it might also be a treatment for heart disease and arthritis. Curcumin is an ingredient in turmeric, a spice that is most commonly used in curries and gives them their yellow coloring. The team behind Ramen-San and Sushi-San of Lettuce Entertain You Enterprises will open Mr. Maki at 676 N. St. Clair in Streeterville this spring. The new concept is built around maki rolls and the Japanese combo meal known as teishoku, which became the team’s favorite way to eat during their travels in Japan. Mr. Maki will provide a quick dining experience and tremendous value for those that live and work in the neighborhood. The teishoku sets are a home-style meal commonly found in local eateries throughout Japan, where all the dishes are conveniently served together. At Mr. Maki, each set comes with tempura veggie fries, miso soup and a house salad, plus a choice of a main dish: crispy stir-fry noodles; savory Mr. Maki’s teriyaki and updated takes on classic maki rolls. With Sushi-San’s Master Chef, Kaze Chan, sourcing all of the products and ingredients, guests can expect quality fish and seafood coupled with the team’s creative touches. This month I am proud to be pictured with this year’s chairman of the Illinois Restaurant Association, Greg Schulson. Greg is the CEO and President of Lunan Corporation and the founder of Burrito Beach LLC and B-Smooth LLC. Lunan Corporation, its subsidiaries and affiliates currently own and operate 47 restaurants in three major markets, Chicago, Las Vegas and Reno. John McKay and Stephen Scatassa are business development representatives for McCloud Services, a leader in integrated pest management solutions in the food supply chain of custody, including health care, hospitality, food distribution, food processing, property management and retail industries. Since 1904 the food industry has trusted and relied on McCloud for pest elimination excellence. You can see the McCloud ad on page 32 of this issue. Discover why local leaders in the independent and chain restaurant world and many food processors and commercial operations use and love McCloud. Michael Sexton is with Sexton Complete Care, a local family owned and operated company serving Chicago areas finest restaurants since 1971. this firm is dedicated to protecting the floors of their customers. By implementing a periodic preventative floor maintenance program, you will protect your capital investment, protect and enhance the image of you business and provide a safe and clean environment for your customers and employees. Periodic preventative floor maintenance should be a legitimate part of your operating budget and is sound business. When you want to project an image of being one of the finest restaruants in town, contact Sexton Complete Care. You may find them in our Buyers Guide under Floor Sales, Service and Installation. David McCarthy is the VP and CFO of MacCARB, a firm specializing in the distribution and service of beverage carbon dioxide (bulk systems & cylinders), nitrogen, helium, and blended gases, along with many industrial gases and products as well. David’s corporate headquarters are located in West Dundee, IL. His firm is proud to service all types of foodservice, food business and food processing accounts in Illinois, Wisconsin, and NW Indiana. MacCARB operates 7 days a week to keep their customer’s beverage gas equipment functioning. They provide service and installations of bulk CO2 tanks and related equipment, gas lines, regulators for high-pressure tanks, nitrogen generators, and other beverage gas equipment. If you’re tired of being treated like a number and want the attention that a family owned business can provide, contact MacCARB today. Jeff Lukas is with Countryside, Illinois based Packaging Resources Inc. Jeff’s firm is a full-service food packaging resource company. Bakeries, quick service restaurants, convenience store chains, food processors and redistributors use their products, tools and knowledge to package and present their food product well. With food delivery and catering numbers accellerating so quickly, this is an important time to upgrade your packaging to insure your food quality is the same, whether it is consumed inhouse or away from your restaurant. For excellent advice and guidance, contact Jeff today. Steve Zatarski is a Business Development Specialist at Midwest Foods, a full service produce vendor located in Chicago. Prior to Steve’s long career at Midwest Foods, he was a chef. Steve says this expertise adds value to his customer relationships by helping them to understand which products are best for their needs. He also has a strong understanding of culinary which also adds value to his customers businesses when requested. A safe work environment is essential for a productive workplace. Employees shouldn’t be afraid of getting hurt at work, nor should they fear being punished if they get hurt. Here are some ways to prevent such fears and to show you are concerned for your staff’s well-being: ■ Hold regular safety meetings to emphasize the importance of safety and reinforce safe behaviors. ■ Discuss everything from ergonomics and parking lot safety to operating machinery and driving company cars. ■ Make sure any safety equipment required for a job, such as goggles or wrist braces, is on site and being used. ■ Don’t overwork your employees. Fatigue makes people more accident-prone. ■ Ensure that maintenance and janitorial services are adequate to guarantee a clean and obstacle-free working environment. ■ If someone is injured on the job, review the guidelines and consider instituting new ones to prevent a similar accident from happening again. ■ Encourage staff members to suggest safety improvements. Create a suggestion program just for this purpose. and Half The Price! ___________________________________________________ All Natural • Seasonal Flavors • Full Selection Discover why the country’s ﬁnest establishments serve Homer’s. Taste Homer’s Today! Old timers said things were going to pot. Today, things going to pot pay to fix schools, roads and arthritis. Serving The Food Industry With Personal Service For 35 Years! Taking a regular sauna can have a big impact on our health. It protects against heart disease, lung problems, mental health disorders and, not surprisingly with all that, it helps us live longer. Sauna bathing also helps improve skin conditions, arthritis, headaches and the flu, say researchers from the University of Eastern Finland. Electric n Natural Gas n Demand Response Solar Power and Lighting Upgrades About CES: We Are Your Local Food Industry Energy Specialists. We are small, nimble, efficient and service oriented. Our hallmarks are honesty, integrity, service and value. Birthplace: Humboldt Park, Chicago. First foodservice job: Garde Manger station, Carmichaels Steakhouse. Favorite food: Grandma’s soulful food, cuisine with history and culture. Worst part of job: Misconception that Mexican cuisine is “cheap”, when it is so labor intensive. Most humorous kitchen mishap: I worked with a dishwasher that was quite the prankster. One time, he thought it was funny to eat all of my poached shrimp for his shift meal. The next day I made “guacamole.” It was really powdered wasabi with pico de gallo. We laughed as he took a giant scoop of it with a chip, and shoved it into his mouth. Favorite food to prepare: Tamales, I get to connect with my grandmother every time I make tamales, despite her not physically being here. She made and sold tamales for 50+ years of her life. What part of the job gives you the most pleasure: My staff, they all are so great, and are the backbone of the kitchen. I value all of our staff, and make sure to mold, inspire, and teach as much as I can so they can always give it their all. It builds character and trust when you go to war with your staff because they know you have their back and they have yours. I love my team, my familia! If you could not be a chef, what would you be and why: I would be a teacher. On a day to day basis, I teach as much as I continue learning. I’ve had many great mentors and teachers, and recognizing that has allowed myself to be a better mentor and continue to learn how to improve everyday whether it is teaching a technique, recipe, or cleaning. Best advice you ever got: “don’t chase money, money will come. do everything from the heart and believe, and life will take care of you” -Carlos Gaytan “value where you come from, because our culture, heritage, and our traditions can always be alive through us, no matter where we live” - My mother, Maria Espinoza Where do you like to vacation: I love to vacation away from everything and sometimes everyone. Recently my wife and I took a vacation with my in-laws to the smoky mountains, and being surrounded by nature and fresh air reminds me of how even if the world might seem a little off at times, the connection with mother nature is pure. What do enjoy most about Food Industry News magazine? It keeps me informed of our industry, and the many talented individuals that we have the opportunity to be a part of. Cannabis is a Powerful Cancer Fighter Medical cannabis isn’t just an effective painkiller. It’s also a powerful cancer fighter, tripling survival rates, say researchers who hope it can be introduced into cancer clinics ‘almost immediately.’ Cannabidiol (CBD) has been tested on pancreatic cancer, which is almost untreatable, with chemotherapy achieving just a 7 percent five-year survival rate. But when CBD is added, the survival rate triples. Researchers have so far tested CBD only on laboratory mice, but if similar results can be seen in people, it could be “in use in cancer clinics almost immediately,” said lead researcher Marco Falasca. CBD has limited sideeffects, whereas chemotherapy can cause common reactions such as nausea, vomiting and diarrhea, and the researchers hope that CBD may even reduce the severity of these reactions. The researchers think that CBD could be a major breakthrough in cancer treatment, especially for pancreatic cancer. It’s one of the most aggressive types of cancer and has one of the lowest survival rates. Life expectancy hasn’t improved in around 40 years, the researchers say, because none of the current treatments available can reverse the disease; they can only provide palliative care to improve the patient’s level of pain and discomfort. CBD triggers cell death in breast cancer cells and stops lung cancer cells from growing and spreading. Increase Quality and Profits on Catering and Deliveries with DCI! 5000 W. ROOSEVELT ROAD CHICAGO, IL 60644 773.378.8400 CHICAGO’S LEADING CONTRACT FURNITURE MANUFACTURER FOR OVER 40 YEARS - SHIPPING NATIONWIDE! A cup of strawberries every day could ease some of the severe symptoms of irritable bowel disease (IBD) such as diarrhea and fatigue. The popular fruit reduces inflammatory responses in the colon and repopulates the gut with ‘good’ bacteria. In turn, this process “significantly suppresses” common IBD symptoms such as weight loss and bloody diarrhea. IBD is an umbrella term for a range of gut-related problems like Crohn’s disease and ulcerative colitis that affect around 3 million Americans. “Souping” may be edging out juicing as a fasting aid or a cleanse, with companies such as Splendid Spoon and Soupure offering a variety of soups for single-day cleanses or a week of meal replacements. Soups offer savory flavor profiles, less sugar and heartier textures that can make the regimen feel more like a meal, which appeals to consumers who were left hungry by juice cleanses. For a limited time, Nonni’s introduces Limoncello Pistachio Biscotti, which has a zesty, tart lemon ﬂavor with pistachios. Nonni’s Limone Biscotti is a light, refreshing lemon cookie layered with a delicate coating of white icing to create a most unique eating experience and highlight to your day. Perfect for dunking in your favorite beverage, or enjoying with a glass of your favorite light wine. Chicago River, Lake Michigan and the Magnificent Mile. Florida has more than 700 camping grounds with more than 100,000 campsites and with more than 1,250 golf courses; Florida has the most golf courses in the United States. Heinz, Maker of America’s Favorite Ketchup and beloved condiments is turning 150 years young and celebrating with a years’ worth of incredible acts of ketchup. Start your spring cleaning by using the Four Box Method –Put Away/Keep, Donate/Sell, Storage, and Trash. Filling these four boxes is an excellent way to declutter your home. Do it at your own pace. The first ever Brick Safari is coming to Brookfield Zoo May 11, 2019 - Sept. 2019. More than 40 life-size animal sculptures will be swimming, stampeding and flocking their way there this summer, made from millions of Lego bricks. Tornado Alley is most active in spring. While a tornado can occur at any time, they most frequently occur between 3:00 pm and 9:00 pm. Vernors ginger ale was created in 1866 by James Vernor a Detroit Pharmacist and became the first soda pop made in the United States. Use a dryer sheet in your luggage to eliminate odors and keep your bag smelling fresh. It’s also a good idea to place a sheet in a bag of your dirty clothes. Wednesday July 24th, Moretti’s Chicago, (Edison Park), 5-8:30 PM Special Guest Speakers: Sam Stanovich of Stanovich Hospitality, Chef Michael Lachowicz, Restaurant Michael George Trois, Jean Banchet Award for Chicago Restaurant of the Year And Sam Sanchez, Partner, Third Coast Hospitality, Moe’s Cantina, John Barleycorn, Old Crow Smokehouse, and an executive from Uber Eats. Call today to have a salesperson visit you. 3 YEAR FINANCING AVAILABLE! OR 90 DAYS DEFERRED INTEREST! Best Prices On All Brands! (708) 233-0808 “Daily Delivery to Chicago and All Suburbs” www.ramarsupply.com 3 Year Financing With No Interest! Or 90 Days, No Payments, No Interest!!! Soon To Be Your #1 Dessert! you the freedom to create a show-stopping dessert without limitation. Our products are available delivered directly to you or through many distributors. Why There’s No Such Thing as a Safe Drug There’s no such thing as a safe drug, as researchers have discovered after uncovering hundreds of unexpected side-effects to most pharmaceuticals on the market today. The anti-epilepsy drug carbamazepine (Tegretol) almost doubles the risk for coronary artery disease, for example, something that wasn’t known until researchers from the Brigham and Women’s Hospital in Boston used computer modeling to discover sideeffects of 900 drugs approved as safe and effective by the US Food and Drug Administration (FDA). There’s a serious flaw in the way we tend to prescrib medicines: the one-disease, one-target approach to drug development don’t follow the inricate changes that occur when the drug is introduced into our complex and interconnected body (Ever listen to those side-effects spoken quickly at the end of TV ads for new drugs? The stuff that unblocks one thing may damage other bodily functions). Most drugs bind to a diseased protein target, but they can also interfere with unintended targets and biological processes. The great majority of drugs are not unique to the single target for which they’ve been developed. They may have many off-target effects—some potentially beneficial, and some adverse. These unexpected side-effects can explain why new drugs that show promise in animal studies fail when they are tested on people, the researchers say. Devanco Label, All Natural, Oven Roasted Italian Beef. All are available cooked and sliced with Gravy or cooked whole with or without Gravy. If you think your doctor is getting “nudged” by pharmaceutical companies to write more prescriptions, you’re right. Researchers from the University of Pennsylvania School of Medicine monitored the impact of nudges on statin-prescribing, and the techniques of influencing are also used for prescribing antibiotics, cancer screening and the fl u vaccine. They said the techniques achieved a significant increase in the number of prescriptions being written. If you think that we’re suffering with ailments that didn’t exist a 150 years ago, you’re partially right. Infectious diseases included tuberculosis, pneumonia, and epidemics of scarlet fever, smallpox and typhoid. As a result, heart failure following infection was another common cause of death, but not because it was the degenerative disease we have today. Cancers and coronary artery disease were rare (2%) of deaths in 1880. Building on the success of an initiative that launched in 2018, The Culinary Institute of America’s partnership with United States Air Force foodservice operations is really taking off. Through the college’s consulting division, the CIA has been working with the Air Force to improve both the taste and health value of the food our nation’s airmen and women eat. A consulting team con- Chef Lisa Brefere of the CIA Consulting team presents healthy breakfast options at a Unites States Air Force dining facility at Robins Air Force Base in sisting of former CIA fac- Georgia. The Culinary Institute of America is working with USAF foodservice ulty members, along with operations to improve both the taste and health value of the food served to alumni chefs and dieti- service members. (Photo credit: CIA/Corrie Clark) tians, has been working closely with the Air Force’s foodservice team. They analyzed and revised more than 700 recipes, created a new 28-day meal plan, and elevated serving stations at facilities to provide fresher, healthier, and more contemporary dining options. For the program’s second phase, CIA Consulting will be working with the Air Force Club team to begin offering healthier foods in off-duty locations as well. “I was jumping for joy as if I had hit the lottery with good, clean food,” said Airman Elizabeth Jackson after eating at the revamped Aragon Dining Facility at Peterson Air Force Base in Colorado Springs, CO. “Nutrition is such a big, big thing when it comes to health and longevity and quality of life. Please make this permanent.” Upgraded menus incorporate more bean, whole grain, and vegetable options, and include specialty salads, wraps, and breakfast grain bowls. Through the first year of this partnership, the CIA has trained 150 service members and civilian foodservice managers at American air bases in the United States, Germany, and Japan. SX Sky Bar, the new two-floor lounge and nightclub concept adjacent to the recently transformed Hotel Essex, Oxford Capital Group’s latest luxury lifestyle hotel along the Cultural Mile, announces the appointment of Christopher Suzuki as chef de cuisine. Suzuki oversees menu creation, staffing, training, and product execution at the soon-to-open upscale lounge. Growing up in Los Angeles, Suzuki first experienced the joy of cooking for others on visits to his grandmother’s home in Northern California. He would watch in wonderment as she cooked large-scale family meals on her own and was soon inspired to start cooking for his family as well. The food diversity in LA continued to motivate Suzuki to pursue a culinary career, which he officially kicked off in 2007 working as a lead line cook at JeanGeorges Steakhouse—a formative role in which he honed his technique and flair and further envisioned his culinary path. Suzuki has since worked in a variety of restaurants in California, Arizona, and beyond. Rising to a challenge in 2012, he took on the executive chef position at Atlas Bistro in Scottsdale, AZ, where he stayed for two years before starting his own restaurant—Chef to Table— and delving into restaurant consulting. Suzuki has been lucky enough to cook around the world, opening a total of 12 restaurants, catering two Super Bowls, and serving as a private chef on a yacht sailing throughout the Mediterranean. Most recently, Suzuki served as sous chef at Oxford’s London House Chicago. Suzuki brings a playful and approachable menu to SX Sky Bar, serving light, shareable plates and sushi with Californian and Asian flavors – shown in dishes such as the Baby Beet & Grain Salad, a twist on bagels and lox made with roasted heirloom beets, forbidden black rice, toasted farro, smoked salmon, lemon and dill crème fraîche, and an everything bagel crumble, and a Tuna Poke Roll crafted with bigeye tuna, avocado, cucumber, jicama, and poke sauce. Suzuki’s refined bites pair with a thoughtful selection of craft cocktails. The bi-level, bar, lounge, and nightclub provides the opportunity to experience the space in a different way depending on when guests visit. During the day, the lavish, yet whimsical interiors offer sun-lit spaces at which to enjoy lunch and dinner. In the spring and summer, the floor-to-ceiling windows retract for open and airy al fresco dining overlooking Grant Park. After sunset, guests can enjoy craft cocktails in illuminated, intimate lounge areas, and can revel on a tech-inspired dance floor. GOT ROOF LEAKS? PREVENT ROOF LEAKS BEFORE THEY OCCUR WITH PROPER ROOF MAINTENANCE! Est in 1975, family owned and operated, we specialize in commercial roofing, roof maintenance, sheet metal, skylights, siding, gutters, and tuckpointing. PROUDLY SERVICING ALL MAJOR CHICAGOLAND RESTAURANTS AND FOOD INDUSTRY BUILDINGS FOR OVER 40 YEARS! Casa Nostra Bakery, a locally-based, family-owned wholesale bakery, has launched a new artisan bread line, which includes a rustic sourdough product. Casa Nostra moved to Illinois from Italy in 1976. The bakery is an authentic source for some of the best Italian bread in the Chicagoland area. The product originates from an old-family traditional recipe. It’s handmade with a 28-hour fermentation that delivers an open-cell structure with a slight fermentation tang. You can find the owner, Mike Florio, in the back baking the bread still. He states: “The rustic sourdough ensures excellent flavor and a pronounced mouth-feel. Our products are very unique because they are all handmade, in the traditional style, which really delivers the customer a distinctive bite and chew.” To check them out in person, they will be exhibiting at the National Restaurant Association show so be sure to visit their booth if you’re attending. You will surely be greeted by warm, crisp smelling Italian bread. 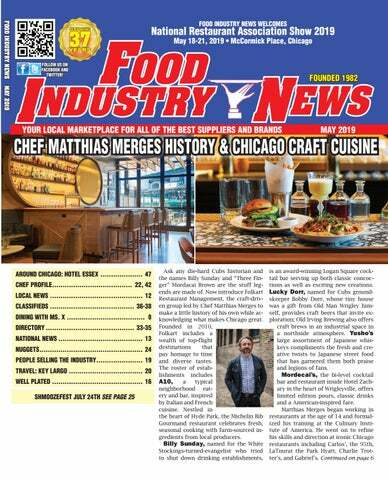 Restaurant In Food Industry News. Just follow this link. Pictured here are Niki and Bill Koliopoulos along with Louie Toutas. Craving Gyros is a neighborhood staple in downtown Lake Zurich, IL. Owned and operated by husband and wife team Bill and Niki Koliopoulos, the restaurant has a throwback vibe with the red, white and black décor. The menu includes all your fast food favorites of hot dogs, burgers, beef, gyros, sausage and salads. But one item that Bill says is the specialty of the house is the ”Chicken Gyros” sandwich topped with honey mustard sauce, lettuce and tomato. Of course if you want it the traditional way with tsatski sauce, it can be served that way too. Dinners include pork or chicken Shish Kebob served with salad, fries and pita. These are the go- to places that you keep coming back to because they have so much to offer and the food is so good. Craving Gyros is located at 2 E. Main St. in Lake Zurich, Illinois. Open Monday – Saturday from 11:00 am to 8:00 pm. Closed on Sunday. Wobbly tables are annoying and can cause spill s that cost you time, money, and maybe even custom ers. With FLAT ® Table Bases or FLAT ® Equalizers (for existing tables), you’ll have level, stable table s which means happier customers and fewer repla cements or refunds. 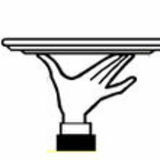 Discover all the amazing benefits and profit ability of having your tables stabilized with FLAT. Í1235(6(59$7,9(6Í Í/2:,162',80Í Í*/87(1)5((Í Í121*02Í Í9(*$1)5,(1'/<Í Í/$&726()5,(1'/<Í ature constitutes acceptance of full responsilility for all errors, omissions and val/signature is required before your job can proceed to final production. or papper approval. NOTE: This e-proof is privileged and copy written. nt is prohibited. Always remember that we make ourselves excuses or we make ourselves strong; the amount of effort is the same. Alpha POS will be available to answer questions at SHMOOZEFEST, July 24.
ues to run effectively. Before making the decision to purchase, read reviews and contact other restaurants with the system to make sure they have had reliable customer-service. We asked Truman Meecham, President of Alpha POS what he recommends to restaurateurs and he suggests Focus POS for its expansive feature set, ease-of-use, and hybrid-cloud reliability. Be sure to take this handy list with you to this year’s NRA Show, to make it easy for you to visit the Food Industry News advertisers. These are great companies who want to do business with you. Please stop by and tell them we sent you! Pizza dough from Gonnella ensure that whether you’re serving up classic pizza or artisanal neopolitan pizzas, you’ll get authentic Italian baking easier than ever! Contact Gonnella today; see their ad on page 15 of this issue. Citrus oils: Bergamot, grapefruit, lemon, lime and wild orange oils, which are great in drinks or as a replacement for zest in recipes (4 to 5 drops is equivalent to zesting an entire piece of fruit). Herbs: Basil, cilantro, marjoram, oregano, rosemary and thyme oils, can easily be substituted in recipes that call for dry or fresh herbs. www.thelocalauctioncompany.com Mint: The cool, refreshing flavors of peppermint and spearmint go well with lamb and enliven salads, tea and other drinks. They also combine well with chocolate to create interesting desserts. Florals: Lavender and geranium are the most popular floral oils in LESS WASTE • GREAT TASTE recipes, particularly in baking and ALL NATURAL • FRESH chocolate. PURE • MADE LOCALLY Spices: This category encompasses ASK YOUR DISTRIBUTOR black pepper, cassia, cinnamon, 773-731-8787 coriander seed, clove, fennel and ginger oils, all of which can be used to flavor meat, vegetables and sweet dishes. Des Plaines- 1225 S. Elmhurst Rd. - Tasty Cuisine - Business with R.E. RE P DU RI CT CE IO N! BREAKFAST/LUNCH: Just listed! Well established neighborhood icon in upscale community on Chicago’s northwest side. Corner location across from park and train station. Seats 90 plus 20 on sidewalk patio. Parking lot. Solid lease. Pristine condition. Biz, FF&E @ $98K RESTAURANT/BAR: Forest Park! Established 20 years. Seats 100 plus patio. Substantial volume. Video Gaming Approved. Total Package includes Real Estate, Biz and income apartment @ $1.175M. Biz only @ $295K w/ great lease. Think “Cheers.”! FAST FOOD: Just listed! Freestanding. Brick. 950 sf. Bus stop corner with walk-up window. Seats 12 plus 30 on patio. Easy to operate with minimal help.... Kitchen built for speed. Good volume/lease. Hours: 11am – 8:30pm, Monday thru Saturday. No Sundays! This is the one you’ve been looking for! Biz, FF&E @ $110K TAVERN: Great NW side neighborhood. Est. 1959. Mature Crowd. Excellent condition. Coveted Chicago Tavern License!! Biz @ $125K. YOU CONCEPT: NW Side. Brand new! Seats 110. Great lease. Pristine. Kitchen and dining room will handle any concept. Italian? Mexican? American?...? FF&E @$150K FAST FOOD: Located in active strip center in afﬂuent N.W. suburb. Seats 42 and 38 in party room. Hours: Mon. - Sat., 11am to 9pm. Closed Sundays. Substantial volume. Most popular in area... Surrounded by factories, ofﬁces and residential! Low, below market value rent with lease renewal options. Video gaming available! Fully equipped. Family run... Pristine condition... Quality products! Don’t miss this one!! Biz, FF&E @ $175K! PIZZERIA: Outstanding opportunity to own this renowned pizzeria...home of Chicagoland’s “Original Stuffed Pizza!” Established 1973. NW Suburb. Dining room seats 125. Plenty of parking. Full liquor license. Bonus: Big $$$$$$ from Video gaming! “Turn-key.” No royalties, no over-rides! Great lease. Biz, FF&E @ $399K. RESTAURANT: Popular, established 27 years! On busy street in NW suburb. Freestanding building. Seats 160; parks 53. Complete FF&E package. Excellent condition. Owner retiring. True “Turn-Key”! Biz, FF&E @ $250K w/ below market value lease. Real Estate included @ $895K Total Price. MORE LISTINGS AVAILABLE–CALL! SELLING? ALWAYS CONFIDENTIAL! Long Established, McHenry County Gourmet Café and Deli Established charming fast casual café deli with great reputation over the years. Serves breakfast, lunch and light dinner menu. Private banquet room. Catering. Classic subs and sandwiches, hot Panini, wraps, burgers, homemade chili and soups. Real estate available separately. Business only: $198,000. 5,000 SF sports bar-pizzeria with plenty of parking National tenant location Gross sales $1,500,000; big bar business. Class A turn-key. Rent $10,000 per month. NEW: NORTHWEST SUBURBS-ELK GROVE VILLAGE Corner free standing 3,500 SF fast food restaurant on 30,000 SF land. National tenant location. Includes Real Estate & Business. Free standing sports bar-pizza pub with drive thru window. 2,300 SF plus 1,000 SF lower level. Bldg on 18,700 SF lot. Great National Tenant location. For Business & Real Estate $595,000. Franklin Park on River Road. Great trafﬁc count; National Tenant Location. Five minutes from O’Hare Airport. Other tenants nearby: Gene & Judes Hot Dogs, Mc Donald’s, Dunkin Donuts and Pescatore Palace. More than $200,000 in improvements. For Real Estate, Fixtures & Equipment $495,000. Turn key, fully equipped fast food restaurant with drive-thru window. 1,000 SF, it could be increased to 2,000 or 3,000 SF. Rent Negotiable. Located on Route 59, West Chicago in “Sandpiper Square Shopping Center” with plenty of parking. National Tenant location or local food concept. Other tenants in the immediate area, Dunkin Donuts, McDonald’s, Walgreens, etc. Free standing sports bar-pizzeria with video gaming. National Tenant location. 5,000 SF bldg. ; 30,000 SF lot. $100,000 a year net proﬁt in video gaming. Real $$$ maker; seats 300 indoor & outdoor. Separate carry out & delivery pizza business. DJ & live music. For Business & Real Estate: $895,000. NORTHWEST SUBURBS ON ALGONQUIN ROAD & ROUTE 53 Successful American Style Pancake House. Free Standing 5,000 SF building on 30,000 SF land. Includes Real Estate and Business. Pick up & Delivery. Chicagoland Area established since 1987. 60% pick up/40% delivery. Real $$$ maker. 40 deliveries per night avg. Selling Real Estate & Business. Owner Retiring. Qualiﬁed buyers only. Must sign conﬁdentiality agreement and have proof of funds. 4,000 SF turn key pizzeriarestaurant plus full basement Established for 40 years. For business, ﬁxtures & equipment $159,500. We have bank owned foreclosures; commercial and residential. For more Conﬁdential Listings, Call Today! 1-888-317-7721. Se Habla Español. BUSINESS OPPORTUNITIES • THINKING OF BUYING OR SELLING? CALL JOHN MOAURO! CATERING BUSINESS NEW TURN-KEY FOR SALE Fast food rest. businesses. 2 locations available. 1200 - 1500 sq ft. with seating. SW burbs. Great location. Good sales and leases in place. Priced at $124,900 ea. Very conﬁdential. NDA required. Call for details. Pizzeria with bar and dining. Located SW subs in central business district. Plenty of parking, available onsite. Asking 174,900. Family restaurant available. Established over 40 years. Approx. 4,500 sq. ft. Freestanding building, plenty of parking, seats 150 plus. Plenty of parking. High volume sales. Reasonable lease. Business only. Asking $399K. Community favorite. Many years in business with base established. Limited hours. Very proﬁtable. Easy takeover. Sellers will train. Call for details. LONG ESTABLISHED SPORTS BAR/PUB In full operation with gaming. Approx. 2,5003,000 sq. ft. w/ parking. Located in SW suburbs. Additional rental income from retail space & apartment. Adjacent to bar. Priced to sell. Call for details. Fast food w/ drive thru. Business & property with additional catering kitchen in lower level. Approx 2,500 sq. ft. Seats 60. High volume, near busy intersection. Call for details. Freestanding approx 2,500 sq. ft. facility with 2 units - one unit fast food concept and other unit pizzeria carry out and delivery. Complete package, property and business. Asking mid 500Ks. In Full Operation. Premier dining. Seats approximately 150. Private banquet room. Separate bar area. Great parking, great leasing terms. Continue with current theme or make it your own. Priced at $210,000. Call! Landmark Rest & Catering Co. Looking to sell or buy a restaurant? Gives us a call! Each Ofﬁce Independently Owned and Operated. Broker: American Realty Network Inc.
Char-Broil, one of the oldest grill brands in North America, has collaborated once again with Pennsylvania publisher Fox Chapel Publishing on a new cookbook and how-to guide for those who love preparing memorable meals outdoors. You’ll discover mouth-watering recipes for perfect hamburgers, drumsticks, kebabs, chops, fajitas, wings, sliders, deepfried turkey, fi sh, pork, venison, and more—all with easy step-by-step instructions and color photos. Driven by tradition and six generations of family ownership, the CharBroil brand is proud to offer: 300 easy-to-follow recipes, 47 recipes for The Big Easy(R) Oil-Less Turkey Fryer/Grilling, barbecuing, brining, and Red Bull is moving into the chain restaurant sector smoking techniques, tips on getting kids involved with simple, safe for the first time, debuting the Red Bull Slush and child-friendly tasks that they can do to help in the fun. the Cherry Limeade Red Bull Slush at Sonic. The frozen drinks are available across the country. APPROVED IN ILLINOIS FOR ANY TYPE OF BUSINESS WITH OR WITHOUT A LIQUOR LICENSE! The boss is always the last to be paid, but a lot of people want to play boss. The certification training you need, at an affordable price. View Schedule and Register Today at illinoisrestaurants.org, or call 312.787.4000. Some people will give you a hand, and many more will give you the finger. ployer for pursuing a successful wage claim. Employers who are found by the Illinois Department of Labor to have committed willful or repeated violations of the IMWL face a newly enacted $1,500 fine, plus the previously existing 20% penalty on all willfully unpaid wages. The penalties for IMWL recordkeeping violations also increased under the new amendments. The IMWL requires employers to maintain records containing the hours worked each day by all employees. Employers must keep these records for at least three (3) years. If employers fail to keep adequate records, they now face a fine of $100 per employee. The new bill does provide a tax credit for employers with less than 50 employees. These employers may take a tax credit on up to 25% of their increased tax payments due as a result of the increased minimum wage in 2020. The employer may take this credit only for payments related to employees who make the minimum wage as required by the IMWL and who have had their average hourly wage increased over the previous year’s average hourly wage. The tax credit phases out over the span of minimum wage increases; the credit will reduce to 21% in 2021, 17% in 2022, 13% in 2023, 9% in 2024, and 5% in 2025 and 2026. Employers with five (5) or fewer employees can also claim a 5% credit in 2027. This amendment to the IMWL adds to the patchwork of minimum wage requirements in Chicago and Cook County where new minimums of $13.00 per hour and $12.00 per hour, respectively, are set to take effect on July 1, 2019. HUNGRY FOR A BETTER BOTTOM LINE? Are you taking advantage of all industry-specific tax savings? Do you have the information you need to make the best business decisions? Do you know your financial strengths and weaknesses? Are you utilizing time-saving technology? industry is not only bleeding talent, but in a dire state across the world. Led by Chef Einav Gefen, Executive Chef at Unilever Food Solutions, the movement seeks to build a brighter future for the industry. By creating solutions to address the issues facing the industry ‘FairKitchens’ can transform chef’s lives. These are human-centric, positive and structured workplaces that are financially stable businesses with high staff retention and diner loyalty. These kitchens will follow a code of conduct, with clearly outlined behaviors and five core values designed to change the industry for the better. ATM Placements & EMV Kit Conversions Upgrade your ATM to be EMV card compatible as reverse liability is now in effect! Upgrade before the end of 2019 or you could be at risk! We were awarded best Italian restaurant in Highwood while I was part of the team at Disotto. Memorable Customers: Some of my most memorable guests were in serving The Chicago Blackhawks team and former President Obama. Worst Part of Job: My respect to all the dishwashers out there, because it’s one of my least favorite things to do. while good reviews are a great way to build positive word 39 Years of Serving the Food Industry of mouth, don’t get desperate. REPAIRS IN: FULLY INSURED n Steam Tables “Don’t incentivize [patrons] by n Shelving RELIABLE providing a free app, meal, disn SS Tables n Sinks SATISFACTION count, etc.,” advises hobbs. n Oven Doors GUARANTEED n Counters “never pay for reviews and, of n Fry Baskets KOP Industries course, never write your own.” n Back Splashes n Kitchen Utensils Art Kopacek Giving things away is ultimaten Custom Fabrication ly not good for the bottom line, (630) 930-9516 and More! kopindustries.com says nevins. “we’re in the business of making money, right?” But it’s also a matter of authenticity and transparency, which fuel the reputable review sites and build trust in your brand. if people Serving Operators, Distributors & Processors Since 1934 Dairy and find out you’re buying good reSpecialty Solutions views—and they will—you lose Custom Products Available cAll FOR OuR cOMPlEtE PRODuct lISt credibility and can get in trouble with site administrators. That’s not going to be good for business. inSTAnTwhiP.COm Everyone may be a critic these days, but if you handle those criticisms well, you’ll get more positive reviews—and might just gain yourself some new customers. “Focus on having a great environment, good staff, good training and good products, and the good reviews will come,” myers says. ing under executive chef that he’s well know for his temper at the time we were training a new sous chef and in the middle of the rush we saw the trainee stepping out of the line to the walking cooler and we also see the chef right on his tale. We all looking at each other knowing that he was going to get in trouble and seconds later we see the trainee running and we see a broom flying after the trainee. If you couldn’t be a chef, what would you be and why: If I couldn’t be a chef I would probably be an Architecture, I actually went to school for it but discovered my passion for the culinary arts. Best advice you ever got was: The best advice I can give is that no matter how big or small is one ingredient, you have to have the same respect for it. Where do you like to vacation: Anywhere that is close to the ocean with the nice weather. What do you enjoy most about FIN: I enjoy seeing what my peers are doing in their restaurants. Other than family, who was your greatest culinary influence? : An ex-girlfriend she was the one who introduced me to the culinary arts. ■ Saves you time, money and frustration while improving your customers’ experience Check the thread size of your tables using the sizing guide at www.flattech.com (See their ad on page 31. Petty Officer 1st Class Andrew Harris has served in the Navy for 13 years and is a U.S. Navy fire controlman aboard guidedmissile cruiser operating out of Pearl Harbor, Hawaii. As a Navy fire controlman, Harris is responsible for the operation and maintenance of a fire control radar weapons system. Harris credits success in the Navy to many of the lessons learned in Chicago. “I was taught the principle of overcoming obstacles and applying yourself to reach that next level in life,” said Harris. Approximately 300 men and women serve aboard the ship. According to Navy officials, their jobs are highly specialized and keep each part of the cruiser running smoothly. They do everything from maintaining gas turbine engines and operating the highly sophisticated Aegis weapons system to driving the ship and operating small boats. THE FIRST THING YOUR CUSTOMERS SEE IS THE BOX. That packaging makes your first impression, and it had better be great; your business depends on it. So does ours. That’s why we’re #1. ■ Corrugated Boxes ■ Retail Displays ■ Unique To Go Packaging We supply the best businesses in the region with the shortest lead times, highest quality printing, consistent strength, custom designed packaging that is both cost-effective and locally produced. WERTHEIMER BOX supports 100% recyclable products, and works with the best, most innovative equipment in a constantly changing industry. Discover why WERTHEIMER BOX supplies the top businesses for over 80 years. To discuss purchasing our wholesale food products for your foodservice or retail business, or to discuss becoming a Los Comales licensee, please contact Larry Gonzalez today. We may have developed the ability to process alcohol long before anyone brewed that first keg of beer. Scientists at Santa Fe College in Gainesville, Fla., studied a set of genes related to the enzymes that break down alcohol, and found evidence of a mutation 10 million years ago that enabled our ancestors to safely consume spoiled and fermented fruit on the ground when other food was scarce. This coincides with the days when tree dwellers began moving to the forest floor to live. So did the ability to tolerate booze lead to the rise of human civilization? It’s something to think about over happy hour. to the devastating, stage-four cancer diagnosis of chef Ryan Hidinger in December 2012. Ryan was of Bacchanalia, Floataway Café, and Muss & Turner’s. ; he and his wife, Jen, were beloved for their supper club Prelude to Staplehouse, a precursor to opening their dream restaurant. In response to Hidinger’s diagnosis, he received an outpouring of love and financial support to help with his expenses not covered by insurance. Giving Kitchen provides financial assistance to food service workers, based on financial need and a defined set of criteria, through Crisis Grants. They have also created a referral program to serve as a connection to social services for restaurant workers called Stability Network. To date, Giving Kitchen Crisis Grants have supported over 1,500 food service workers in need of emergency assistance. ROSÉ WINE | © 2018 Imported by Deutsch Family Wine & Spirits, Stamford, CT 06901. Please Enjoy Responsibly. Fully cooked, sliced, and ready to eat our Gourmet Canned Scungilli (Conch) is the perfect addition to your favorite recipes. From pasta and salads to scampi and fritters, or straight out of the can with cocktail sauce. These all natural Canned Scungilli are wild caught and require no cleaning, no cooking, no defrosting, no refrigeration, and no mess! A healthy choice, theyâ&#x20AC;&#x2122;re high in protein and 0 Trans Fat. Available year round in easy open 29 oz. cans. Call 866-CALAMARI today.